How Can Eworks Manager Help Locksmiths? Eworks Manager is the perfect solution for Locksmiths, allowing you to manage your planned and reactive jobs together all in one place. You can quote from the admin site or from the mobile App when you are with the customer. 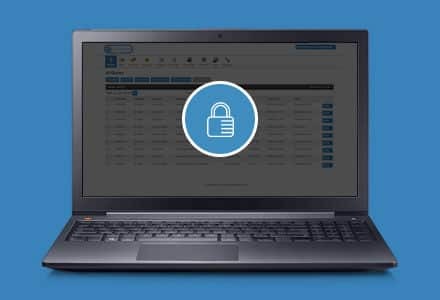 You can plan jobs out for your locksmiths with a simple drag and drop planner solution and once the job completes, you can manage your invoice via Eworks Manager or we can integrate your system into Sage, QuickBooks or Xero. Eworks Manager is the perfect quoting solution for Locksmiths. Creating and managing quotes is as simple as a few clicks. You can quote from the admin system or from the mobile App when you are with the customer. As the quote is processed you can easily change the status of it to keep up to date of which ones to follow up on. With Eworks Manager, there are a few ways of invoicing to meet the customer’s needs. You can invoice from site as soon as the job is completed or alternatively this process can be managed from the office. In both instances, you can also record the payment. Alternatively, we integrate into Sage, Xero, and Quickbooks and we can provide a seamless approach into each system. Keep a track of all your jobs in one place and with a daily/weekly planner, you can see availability with ease and plan out the works efficiently. The job can be scheduled to be done every week, month or year, simply create a reoccurrence as a few days before the next appointment is due, it will appear as an unassigned job ready to be planned. As the customer phones the office to book in a job, by a simple drag and drop and entering a few details you can book the job into the diary and the locksmith in the field will receive an email/text alerting them. Once the locksmith is on site, they can upload photos and a customer signature for the job sheet, they upload expenses and receipts and any other documentation needed on the job can be digitised and complete via the App.